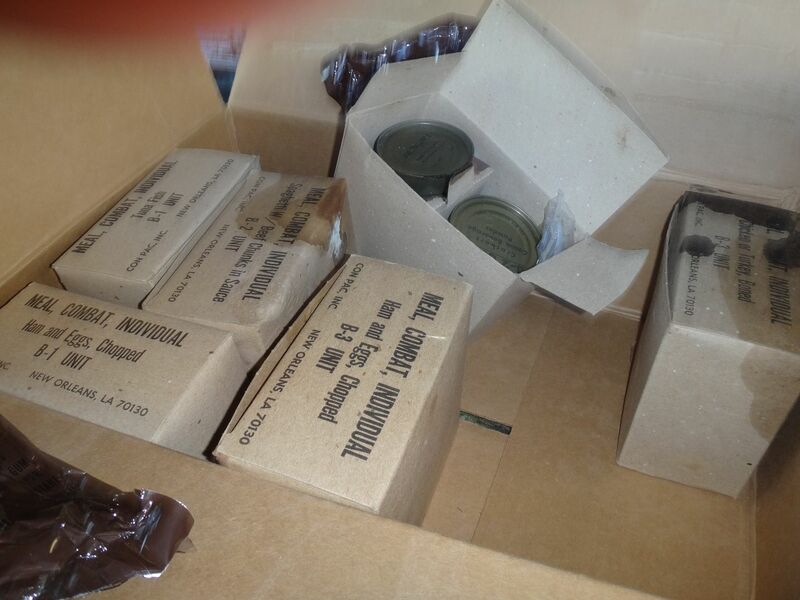 I was cleaning out the neighbors home and found 2 cases of MRe and one case of C rats. the Vietnam c rats are headed to the landfill tomorrow. I almost forgot about c rats. the two boxes I opened it was missing. they looked like they were never opened. watch the mre's they can go bad to especially if they have ever been frozen if the inner bags are blown up like a balloon get rid of them. I'd throw the whole lot in the landfill. Years ago I got Salmonella from a Tuna sub and I thought I was going to die a horrible death. Not worth taking a chance. Heave it. The c-rats are more likely to be good than the MRE's. Toss them all. I'd send them to the local high school so the kids can see what food is eaten by 19yo soldiers who are defending the rights of snot nosed kids. how about making that obama woman eat them? Yup, who would want to be the poor SUCKER having to deliver them.